Frederik January 30, 2016 Comment? 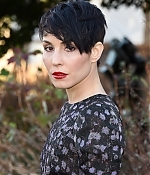 Additional pictures from all of Noomi’s Paris Fashion Week appearances have been added to the photo gallery. Also, a couple more pictures from the premiere for “The Revenant” and the Cirque De Soleil opening night have been added.